This month, AVMA PLIT featured an article on the increased number of iatrogenic jaw fractures seen in veterinary medicine. Unfortunately this can occur with dentistry procedures in patients that have extractions with severe dental disease. What's key? Doing preoperative dental radiographs. Why is this happening and what we can do to prevent this? 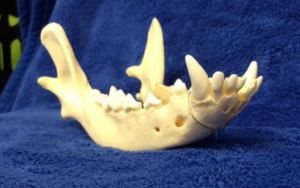 1) How can iatrogenic jaw fractures be prevented? 2) How should the veterinarian respond to this complication? To avoid iatrogenic jaw fractures, start with dental radiographs - this is key to evaluate the mandibular bone and the anatomy of the tooth roots. Remember that advanced periodontal disease results in bone loss and can increase the potential likelihood of iatrogenic trauma or jaw fractures. While dental radiograph equipment can be expensive, it's an important key in evaluating advanced periodontal disease (as clean teeth on the surface can still have significant disease below the gum). More importantly, make sure that you and your staff know how to use the dental equipment and be able to adequately interpret the radiographs and results! VETgirl is a subscription-based podcast & webinar service offering RACE-approved, online veterinary continuing education. Check out our dentistry webinar on "Communicating Value for Preventive Dentistry" here by Wendy Myers of Communication Solutions for Veterinarians.